Certain Windows 10 Mobile smartphones can be connected to a TV or monitor and be used as a mini PC, thanks to the Continuum feature. But instead of using this method, there’s a better solution provided by Ockel. The company has released a very powerful pocket PC called Sirius A, which runs on Windows 10 Home (64-bit). According to the Technical Specifications, the Ockel Sirius A is powered by an Intel Atom x7 Z8750 processor clocked at 1.6GHz, which can be boosted up to 2.56GHz. The processor is backed by an Intel HD Graphics 405 GPU and 4GB LPDDR3-1600 of RAM and the internal storage has a capacity of 64GB, but it’s expandable with a microSD card. Its exterior is made of anodized aluminum and it’s available in three variants of colors: Moon Silver, Meteor Grey and Venus Gold. It sports a 6-inch Full HD glossy multi-touch display with support for 4K or UHD resolutions, and on the rear side of the device, you’ll find the following ports: two USB 3.0, DisplayPort, HDMI, USB Type-C and LAN. It connects to a wireless network via Intel Dual Band Wireless AC 3165 802.11a/b/g/n/ac and the 3000mAh battery offers up to four hours of video playback. 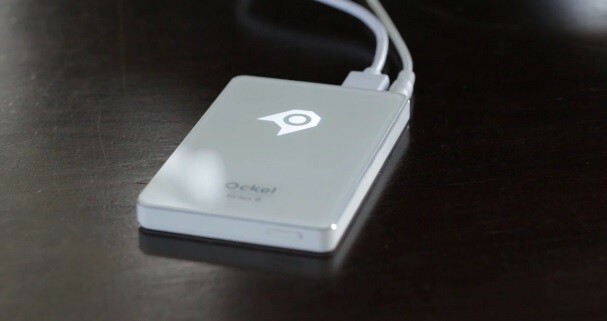 Also, Ockel has equipped this pocket PC with a front facing camera, speakers, a microphone and Accelerometer, Gyroscope and Magnetometer sensors, while on the side you’ll find the power button, the volume rocker and audio jack. The Ockel Sirius A will start shipping in May 2017 and the retail price will be $699. However, if you want to make a financial contribution on Indiegogo, where the project has reached 108 percent of its goal, as over $100,000 have been raised so far, you will have the possibility to purchase the device for $499 (plus shipping). However, the developer will offer you a free Avanca Powerbar Pro 900 which, normally, it costs $69.